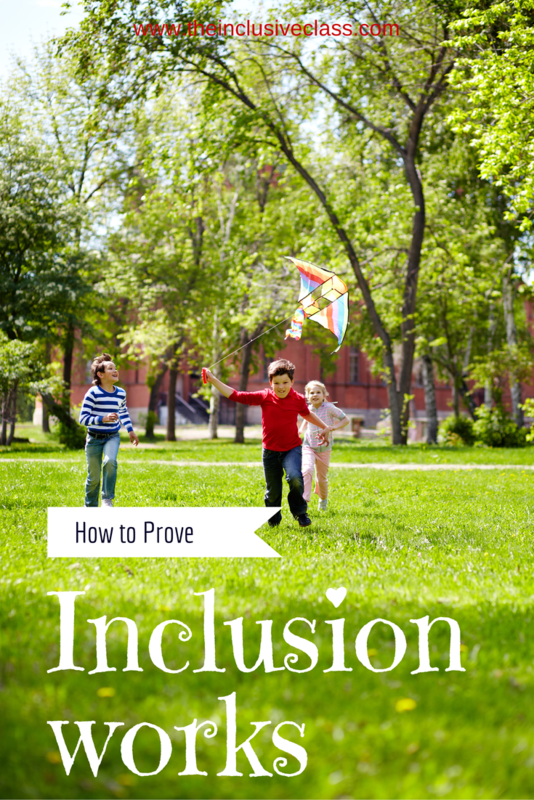 The Inclusive Class: How to Prove to Your Child's School That Inclusion Works! 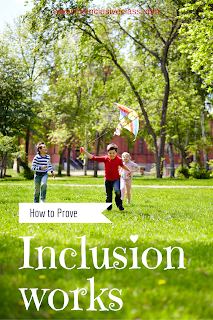 How to Prove to Your Child's School That Inclusion Works! 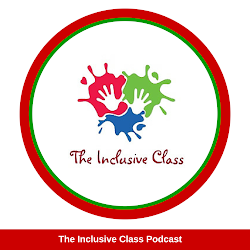 Does your child's school need to become inclusive? Does your child's principal dismiss the idea that inclusion works? 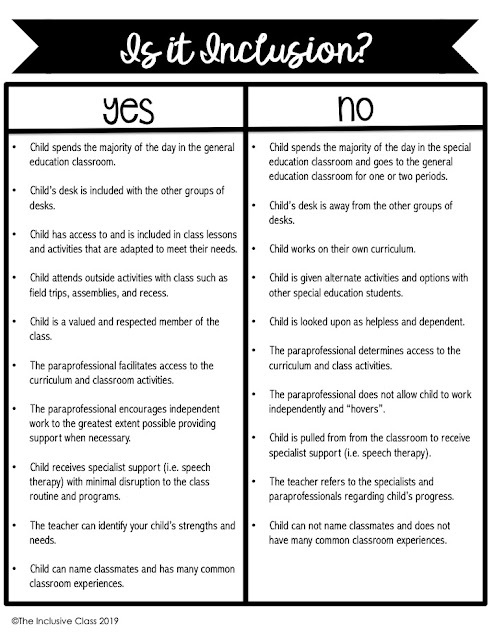 Is your school district looking for proof that backs up your claims that inclusion does not affect the other students? Does your child's teacher run the other way when you mention the word "inclusion"? If you are looking for ways to inform and improve the quality of education your child is receiving, here are some statements to make and resources to prove that inclusion really does work! Statement: Inclusion does not affect other student's education. Statement: Parents and teachers who are involved with inclusive education have positive opinions about inclusion and see no harm to the other children. 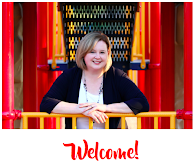 Proof: The National Institute of for Urban School Development found that, "Surveys conducted with parents and teachers involved in inclusive settings generally show that they see no harm to the nondisabled children and that they have positive opinions about inclusion. In fact, one survey of more than 300 parents of elementary-age children shows that 89 percent would enroll their children in an inclusive classroom again." See Inclusion and the Other Kids . Statement: There is information about inclusion for schools AND families. Proof: This handbook, developed by Inclusion BC, not only provides information about inclusive education, but talks about a parent's roles, responsibilities and gives ways for parents to advocate effectively for their child's education. See A Parent’s Handbook on Inclusive Education . Statement: There is significant research to prove that inclusive education provides a quality education for all students involved. Proof: Kathleen Whitbread, Ph.D. provides an overview of various research that supports inclusive education for students of various needs and at various age levels. See What Does Research Say About Inclusive Education? . Statement: There are schools across the nation that are fully inclusive. Proof: Tim Villegas writes a very helpful piece for the Friendship Circle of Michigan in which he lists 10 schools that are inclusive. Videos are included to demonstrate how schools are creating and supporting inclusive environments. See Examples of Inclusion for Those Who Need to See It to Believe It . Statement: Research indicates that Inclusive education is the foundation for a quality education for students with moderate to severe disabilities, not just mild disabilities. Proof: Once a school becomes inclusive, it is important to ensure that the students with special needs are receiving a quality education. This research identifies 12 different components of inclusive education that need to be in place for students with moderate to severe disabilities. See Inclusive Education: What Makes it a Good Education for Students with Moderate to Severe Disabilities? . Statement: There are proven, successful methods for transforming a school to include all students. Proof: The SWIFT (School Wide Integrated Framework for Transformation) Center at the University of Kansas not only provides a framework to transform schools to a more inclusive model, but lists significant studies to prove that inclusive education benefits all students and people in the community. See Benefits of Inclusive Education for ALL Students . Statement: Students with special needs can be successfully included at all ages - even at the high school level. Proof: Seattle student, Devon Adelman, is a very active and sociable teenager attending her local high school. In this video, Devon and her dad, Sean, are interviewed about the benefits of inclusive education for Devon and her community. See Seattle Special Ed Student Shows How Inclusive Education Benefits the Entire Student Body. Statement: Even students with severe medical needs can be a contributing member to the school community. Proof: A 12 minute documentary describes the life of Isaac, a young boy living with serious health conditions. Despite his high medical needs, Isaac is fully included in his local school. Watch and learn how the right mindset towards inclusion can make all the difference in a boy's life and the community that surrounds him. See Including Isaac . Statement: Inclusion is the "right" thing to do for our society. Proof: In this article, educator and author, Mara Sapon-Shevin, describes inclusion as a civil right that is deserving of all humans. It is socially responsible for schools to embrace diversity and model acceptance. See Inclusion as if we meant it: a social justice perspective . Do you have any other proof that inclusion works?